Stay 2 minutes' walk from the shops of Saint Catherine Street at the Novotel Montreal Centre hotel. For business trips or a vacation, this 4-star hotel boasts modern and comfortable rooms. After a visit to Old Montreal and the museums, enjoy the friendly atmosphere in the bar or sample the international cuisine in the restaurant. 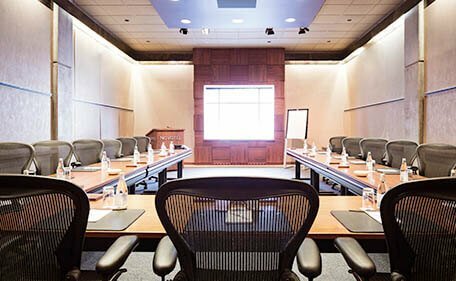 Eight meeting rooms are available to ensure the success of your event. Free basic WiFi. Discover the dynamic city of Montreal at Novotel. 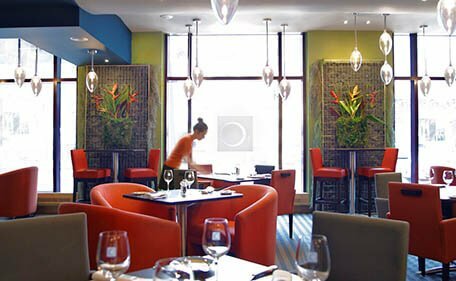 Novotel Montreal is a 4 star hotel located in the centre of Montreal, a short walk from the Bell Centre, shopping, offices and restaurants. Dine in Restaurant L'Ô, a constitution of Food, Drink and Good Company. Our wellness centre is a fully equipped 24/7 fitness facility. Our stylish restaurant invites you for breakfast. Come and discover a cuisine with international and local influences prepared with care and elegance.